Bharatiya Janata Party (BJP) leader Hina Bhat today countered the Congress' allegations in the wake of the deteriorating law and order situation in the Valley and said everybody must come on board to pacify the situation instead of hyping up the opposition's charges. Taking a jibe at Congress, Bhat said the nation is at the moment least interested to know about the allegations of the grand old party. "The situation is very fragile, very sensitive in the state. We are only concerned about the peace so that no more deaths are there in Kashmir. So, I don't want to give hype to the Congress Party or any other allegations. Right now, everybody should get together and pacify the situation and get it under control," said Bhat. "When such thing happens, imposition of curfew is a must. And through Facebook, WhatsApp, they try to communicate with each other to carry forward the protest. So, it is important to bring the situation under control," she added. Talking about the Amarnath Yatra, the BJP leader said that it has been suspended for the time being due to security concerns. "It is better if we hold on the yatra for the safety of the people both from the state or those coming from outside the state," she said. 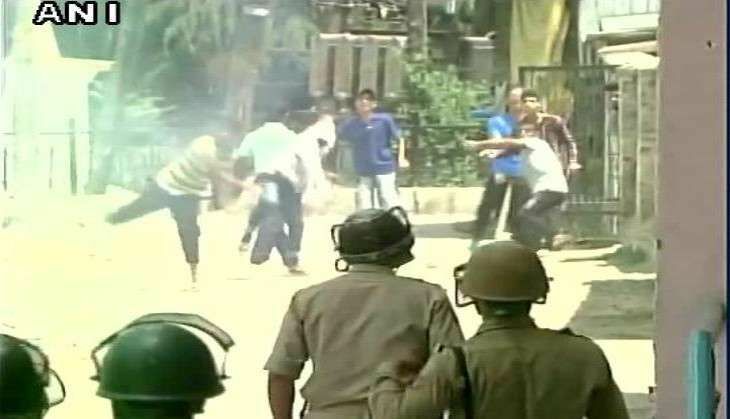 Appealing for peace and harmony in Jammu and Kashmir, the Congress yesterday said that it was the responsibility of the Centre and the PDP-BJP coalition government in the state to ensure law and order. The Congress also blamed the PDP- BJP coalition government in the state for all "wrong decisions that may have adverse consequences in the long-term". "To the youth or the elderly people of Jammu and Kashmir, we will convey the message that violence is not the solution to any problem. Peace, harmony, and brotherhood are the only answers," Congress spokesperson Randeep Surjewala said.